Klakson volantu s vestavěnými hodinkami na baterii součást dílu. Horn button with clock comes with battery. 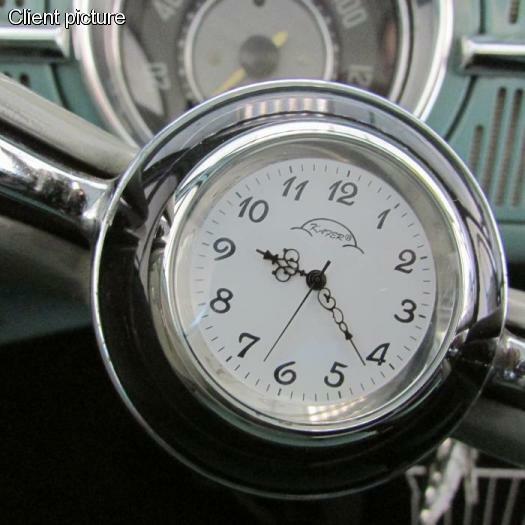 A very exclusive accessory for the "Petri" steering wheels from the 50s was a horn cap where a watch in it processed. Based on this idea, this horn cap developed intended for younger steering wheels feature a horn bracket. You simply replace the existing horn cap by horn cap features an authentic model clock.